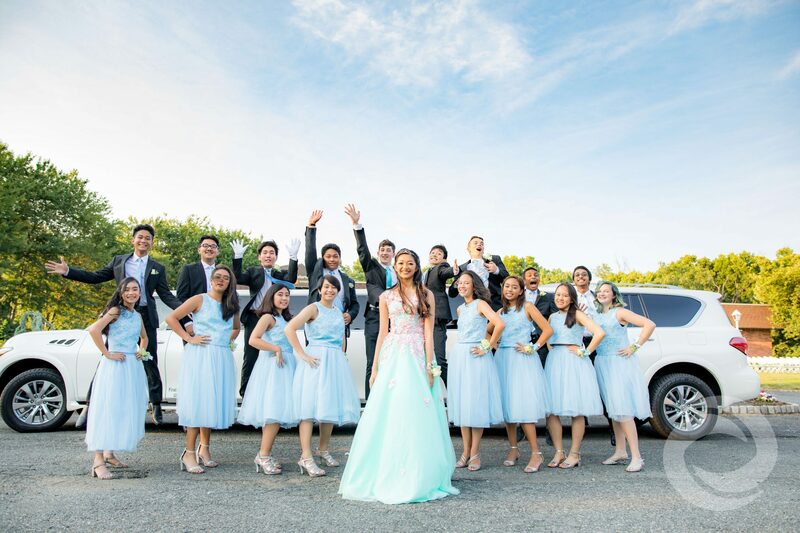 It was a night to remember for Raissa, her friends, and her family, some of whom traveled all the way from the Philippines to celebrate her 16th birthday. 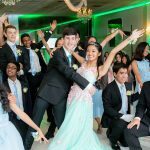 The Colonnade Room of The Gran Centurions, an elegant Union County event venue in Clark, New Jersey, was transformed into a pastel paradise for this Sweet 16. 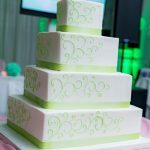 Raissa included her mint green and pink floral theme in all the details and decor of her celebration. Pink rose string lights and flower pom-poms adorned the tables. 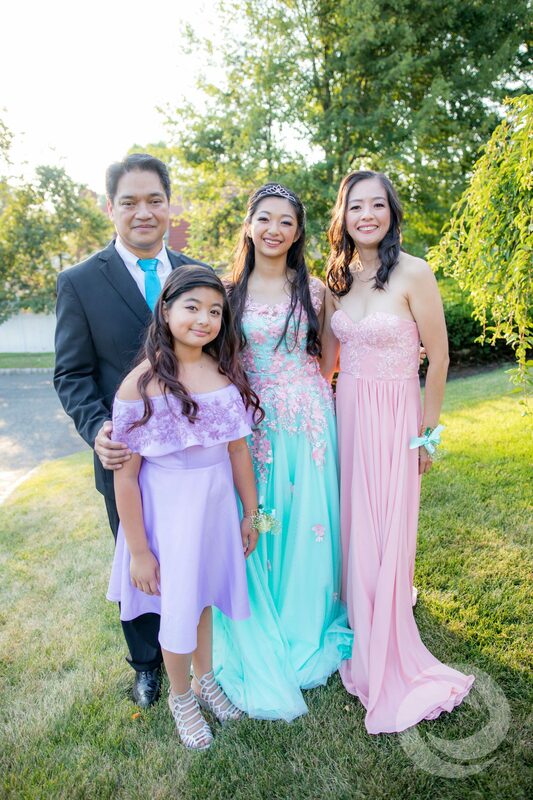 The birthday girl, her family, and her Court dressed to match the color scheme. There was even a tree with teardrop tea light ornaments, which Raissa later used in her unique candle lighting ceremony. 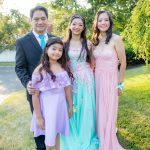 In Filipino families, young women traditionally celebrate their “debut” into adulthood at age 18. 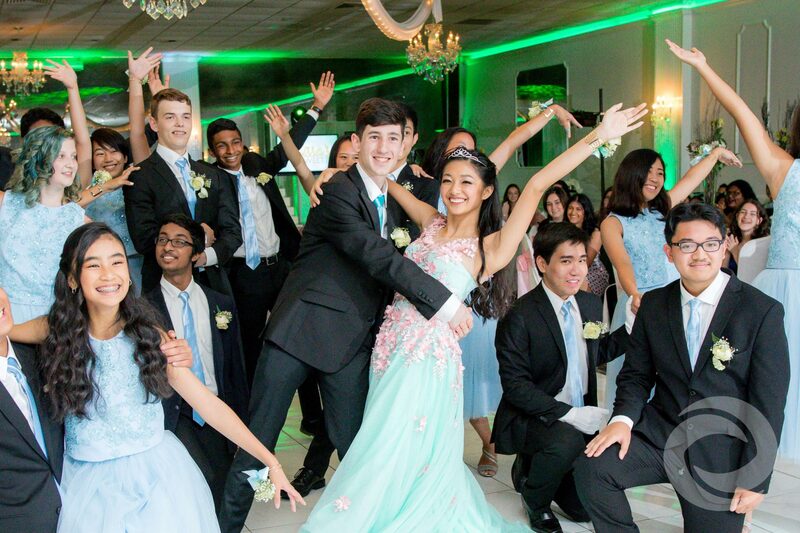 The birthday girl performs a choreographed dance with her hand-selected Court. 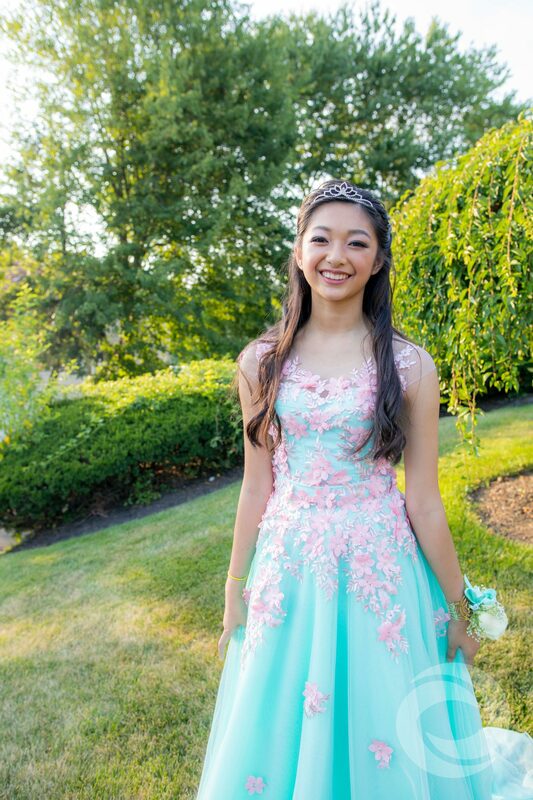 Then she waltzes with 18 special males in her life, each of whom gives her a single rose. 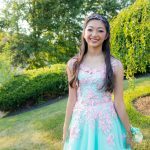 Raissa and her family adapted this tradition with a rose ceremony, which included her father and grandfather. 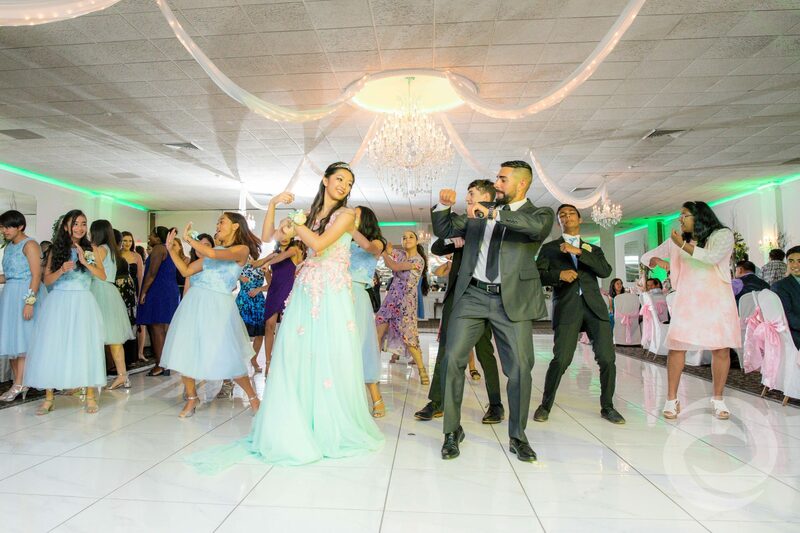 Hurricane Productions helped set the mood for this special event with intelligent spotlighting, colored uplighting, a photo montage and custom animations displayed on LED TV screens, and a Name in Lights design projected on the wall. 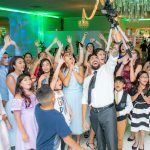 Raissa also had an attended open air photo booth and custom Snapchat geofilter. As part of our Media & Entertainment Package, Raissa’s Sweet 16 was captured in photos and video by Corynn Egreczky and Markus Robinson. 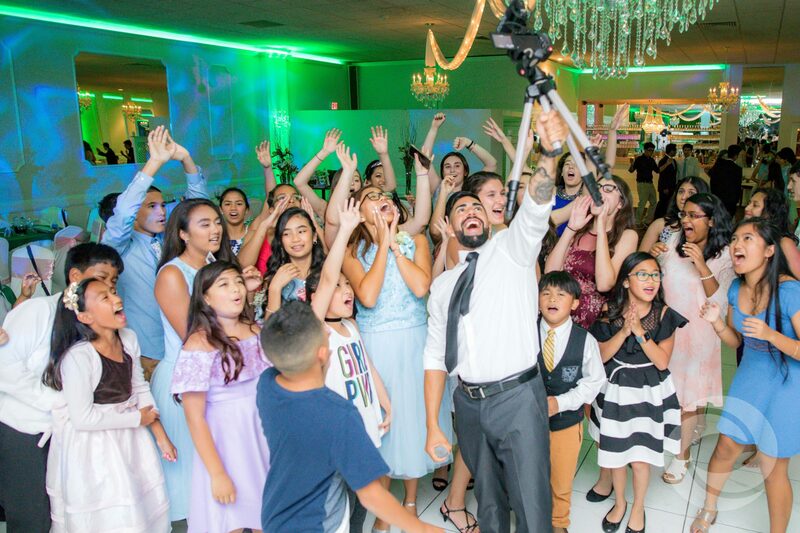 DJ Nate Hawley kept the music playing while emcee Robert Padovano engaged guests on the dance floor and even posed for selfies with the crowd. 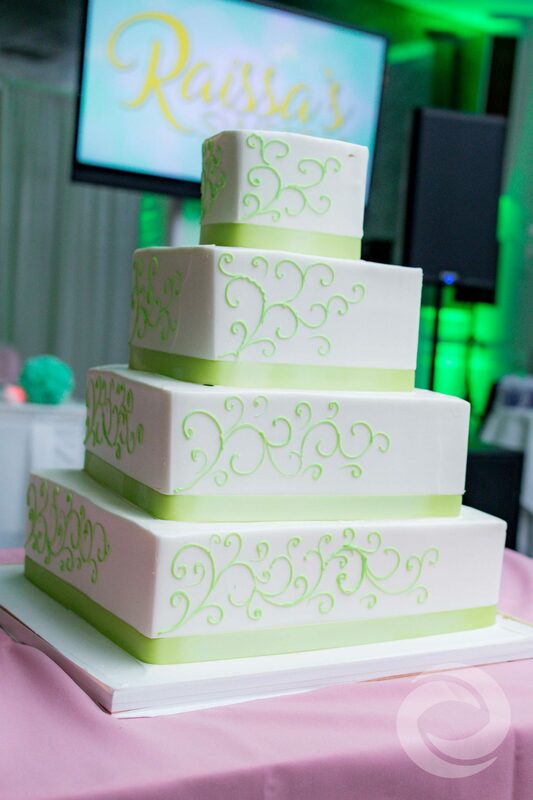 To learn more about the media and entertainment services Hurricane Productions offers for special occasions, visit our Sweet 16 pricing page or contact us for a custom quote.